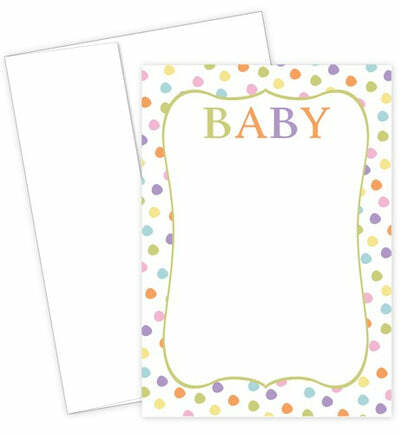 The Baby Dots Flat Card Set featuring colorful dots is perfect for any invitation or announcement. Each card measures 5.5" x 7.75" and is made using 127lb text stock. Inkjet & Laser printer compatible. Acid and lignen free.